Using Glogster in the Classroom? I just learned about Glogster while exploring some new blogs and I am very intrigued. I am already thinking of a lot of classroom uses, specifically with our upcoming persuasive writing unit. I know one of the issues I struggle with in the classroom is that we don’t have the ability to print students’ creations in color. (Can you imagine the bill?!) Glogster looks like it will solve my problems! I can have up to 200 students log in and create their own poster which I can then view and assess anywhere with an internet connection. I showed the Glogster.edu site to my students and the reaction was very positive. In fact, they begged to use it ASAP. 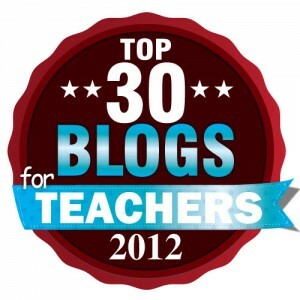 So I am reaching out to the blogosphere- how have you used Glogster in the classroom? Any tips or warnings? You will be amazed at the creative expression of knowledge and skills that your students will show. Great for UDL and differentiated instruction. I am also very interested in using Glogster with my middle school students, but haven’t gotten very far yet; I ran into some web-filter issues when I dipped my toe in, so I need to pursue it further. I will be interested to hear how it works with your students. Tara Seale talks about using Glogster in her 9th grade English class on one of her classroom blogs/sites. Sorry I don’t remember which one. It might be helpful to you. I have been using Glogster.edu with my 6th graders. They LOVE it. Many of them make glogs at home! When they can’t find audio or video that they like at school (too many filters) they can upload the files from home, but they still will run on the glog at school. The only problem we’ve had has been getting the textbox feature to work at school. I’m sure it’s our computers, but the text box never loads. My language arts classes made glogs for the last book they read. I gave them a rubric with everything that needed to be included. They are awesome! The kids really like it, and I’ve even had some parents talk about making glogs on their kids’ accounts! I was wondering if Joanie would be willing to share her rubric. I am interested in using Glogster.edu for the same purpose, for my 5th graders to make glogs for books they’ve read. If any other 5th or 6th grade teacher has similar feedback, that would be great. Once I formulate my ideas, I will share as well. Wow, I had never heard about this, but I just looked at the site and it does seem interesting. It was nice to see the comments of others as well. Thanks for mentioning the site. Has me quite interested in trying with my class also. How did you get past the problem of the text never loading? We are having a doozy of a time here with my fifth graders. They can even make it at home, but once they get here it isn’t loading right. Sometimes the text loads, sometimes it doesn’t. From what I can tell, it’s more of a bandwidth issue on our end. The school blocks certain items, plus we share our bandwidth with the middle school. Thus, we end up with half-loaded pages a lot of the time. I think I am going to have the kids pair up, to decrease the pressure on our network, next time we use Glogster. We are having issues. When my kids log onto the educational site, they will save their work, click unpublished, then when they try to open it later, it’s gone. Any suggestions? It’s happened time and time again!